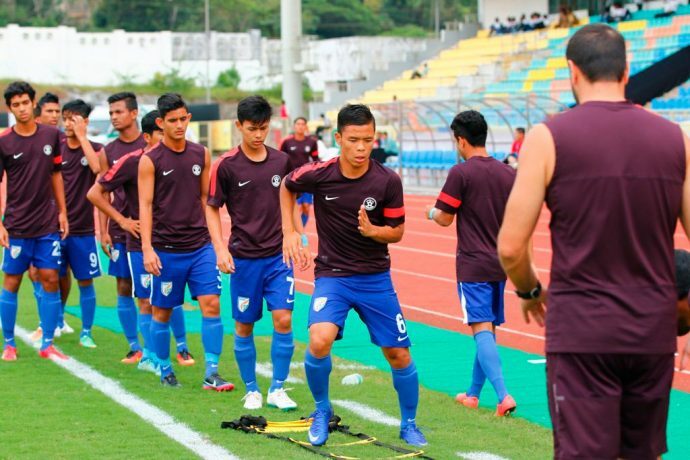 Scouts from the All India Football Federation (AIFF) will be coming to Odisha to scout for talent for the India junior national teams set to participate in the AFC U-16 Championship, AFC U-19 Championship qualifiers and potentially in the 2019 FIFA U-17 World Cup. The scouting program will be carried out in Odisha on March 31/April 1. The AIFF has recognised the Football Association of Odisha as one amongst the top football developing states in India. 1. He should be born on or after 01.01.2001 and not later than 31.12.2004. 2. He should have any photo identity card (preferably AADHAR CARD) along with Birth Certificates issued by Municipality/NAC/Registrar of Births. 3.He should bring all playing equipments. The best talents from this selection trial might be selected for further selection trials of various age categories of the National Teams. Interested players may contact Subhasis Behera under 7008967567/9124555666 for further information.